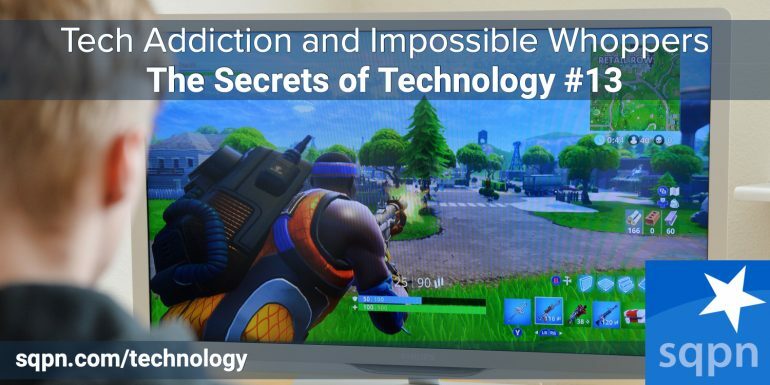 Some boys are reportedly becoming self-destructively addicted to Fortnite while other kids are tied to texts 24/7. Dom Bettinelli, Thomas Sanjurjo, and Pat Scott talk about the reasons for it and discuss tips to help concerned parents. Plus is Burger King’s Impossible Whopper okay for Lent? Help us continue to offer Secrets of Technology. Won’t you make a pledge at SQPN.com/give today?